Envescent was founded in 1999 by lifelong Arlington, Virginia resident Alexander G. Chamandy. 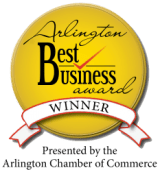 Alexander is a security and technology professional with over 25 years of experience. He is passionate, driven and greatly enjoys working with people. His true calling is solving complex problems. Alexander’s unique and deep skill set allows him to lead or assist with a variety of projects. 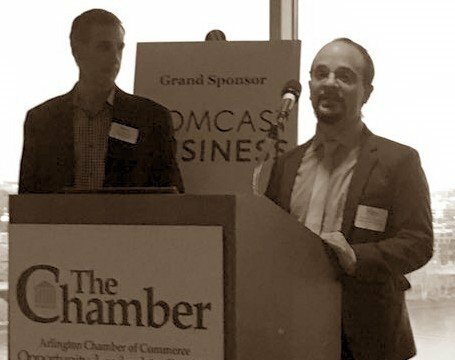 Alexander G. Chamandy, founder and managing member of Envescent, LLC at the Arlington Chamber of Commerce. Alexander’s passion for technology runs deep. He was given a Commodore 64/128 when he was five years old as a birthday present. From there he began teaching himself BASIC so he could program video games. Starting in the local information technology industry in 1995, Alexander founded his first business in 1999. From then he has remained involved with its operation and direction. Alexander is passionate about open source software and is an advocate of FreeBSD and Linux. Envescent uses FreeBSD and recommends the open source operating system to its clients. Envescent regularly donates a portion of its profits to open source software initiatives as well. In addition, strong interests in health, culinary arts, sustainability, science, economics and markets keep Alexander busy. In his free time, he actively researches macroeconomics, geopolitics, various asset classes and keeps up with current events. Stay in touch! Connect with Alexander on Twitter and LinkedIn.